2019 Season is full of Music, Main Stage & Murder Mysteriery Events! I'd like information about music events. 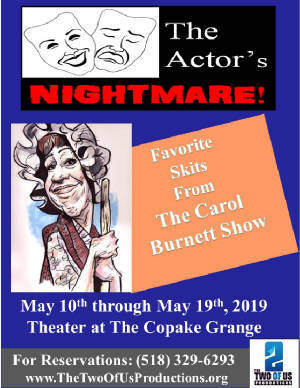 We had a great time presenting "KARAOKE KILLER", a murder mystery in 2 acts at the Theater at The Grange in Copake NY. Look for another great mid-winter show in early 2019! We are looking forward to a GREAT 2019 season on the good ship Marika with Hudson Cruises, so check our MURDER MYSTERY page for specific dates & times, as well as how to purchase tickets!. 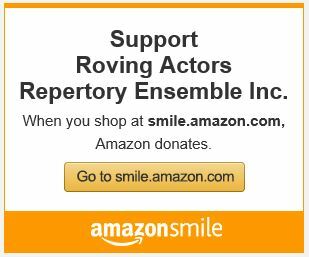 If you'd like to support our performing arts work with a tax deductible contribution please click here to make a donation. 2019 Season - We have a great lineup for you! 2019 MURDER MYSTERY Cruises with dinner on the river!! Call Hudson Cruises to make your reservations now! We're starting to book up, so if you'd like a Murder Mystery event as only The Two Of Us Productions can do them, then call us today! 997 New Loudon Rd, Latham, NY 12110. I'd like information about Murder Mysteries!